Cite fast is an easy to use web tool for creating citations. Students can utilize it to generate citations in different formats: APA (6th edition), MAL (7th edition), or Chicago (16th edition). The site provides a wide variety of features citation creation super easy and all for free. Some of these features include: automatic look up of journals, books and webpages; easy cut and paste and exporting to MS Word; In-text citation generator with guide and many more. 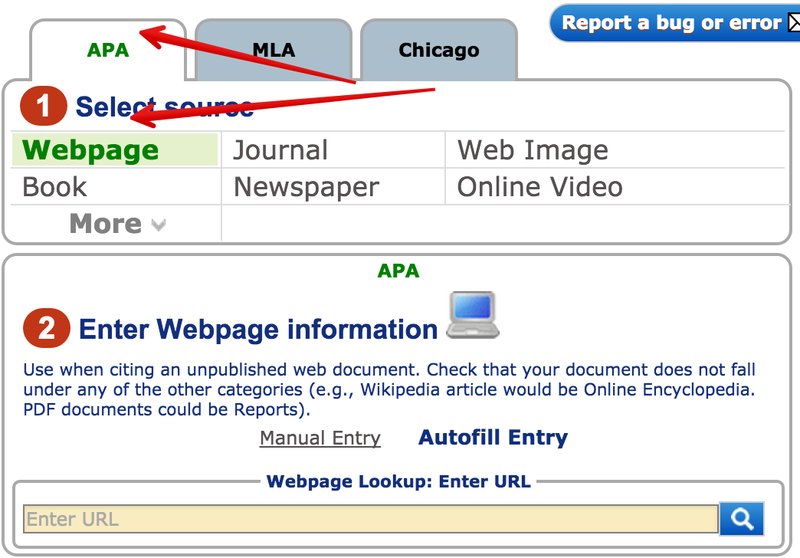 1- Click on the citation format you want to use then select a source. The sources provided are : webpage, journal, web image, book, newspaper, and online video. 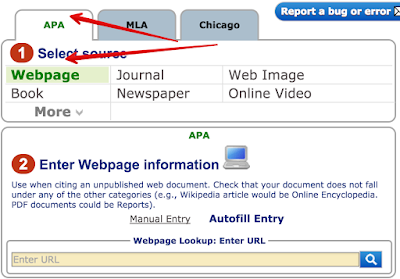 2- Cite a book, article, website, or film, by searching or entering the information yourself. Click on the "Add citation" button when finished. 3- View your citation in the bibliography on the right and continue citing.